The chair once occupied by Orison Swett Marden, W. Clement Stone, Napoleon Hill, and Og Mandino is where Success publisher and editorial director Darren Hardy now sits. Darren has been a leader in the personal-development industry for sixteen years, having led two personal development-based television networks—The People's Network (TPN), and The Success Training Network (TSTN)—producing and launching more than a thousand TV shows, live events, and products and programs with many of the world's top experts. Darren is a product of the principles he reveals in The Compound Effect. As an entrepreneur, Darren was earning a six-figure income by age eighteen, more than a million dollars a year by age twenty-four, and he owned a company producing $50 million a year in revenue by age twenty-seven. He has mentored thousands of entrepreneurs, advised many large corporations, and serves on the board of several companies and nonprofit organizations. 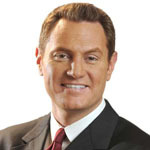 As publisher and editorial director of Success Magazine, Darren is in a unique position to interview leading experts on human performance and achievement, as well as many of today's top CEOs, revolutionary entrepreneurs, superstar athletes, entertainers, and Olympic champions, to uncover and share the secrets behind their extraordinary success. Each month in the pages of Success Magazine, on his blog (DarrenHardy.SUCCESS.com), on Twitter (@DarrenHardy), on Facebook (DarrenHardyFan), and before live audiences of entrepreneurs across the country, Darren distills the best of the best information and strategies available, mixing in his own street-tested principles of success. Darren's passion for personal development is at the core of his business and life philosophy. He is committed to helping others achieve their potential in order to live richer, more fulfilling lives. Darren is a popular keynote speaker and appears regularly on national radio and TV shows for CNBC, MSNBC, CBS, ABC, and FOX. Darren lives in San Diego, California.